These vault lights are an example of another form of cast-iron work by a foundry well known for its cast-iron facades from the 1880s. They are located in front of 58-60 Reade St., New York City. 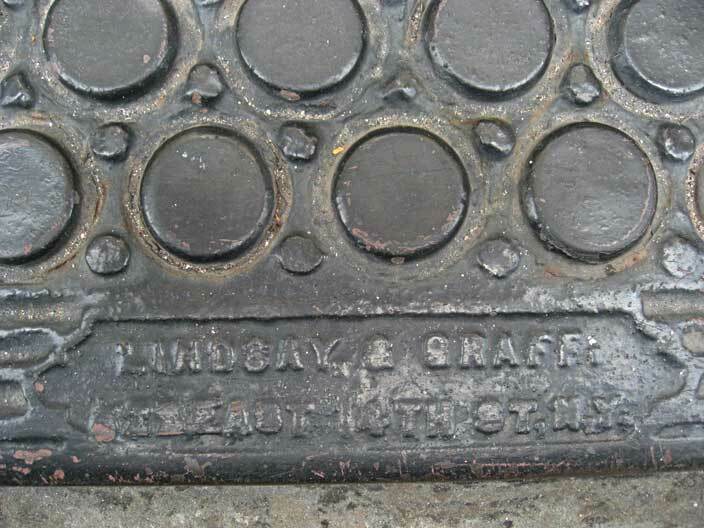 The story of Lindsay & Graff is found at Lindsay, Graff & Megquier, 78 Grand St.